This is a Champagne glass. It was manufactured by J. & L. Lobmeyr GmbH. It is dated 1865 and we acquired it in 2009. 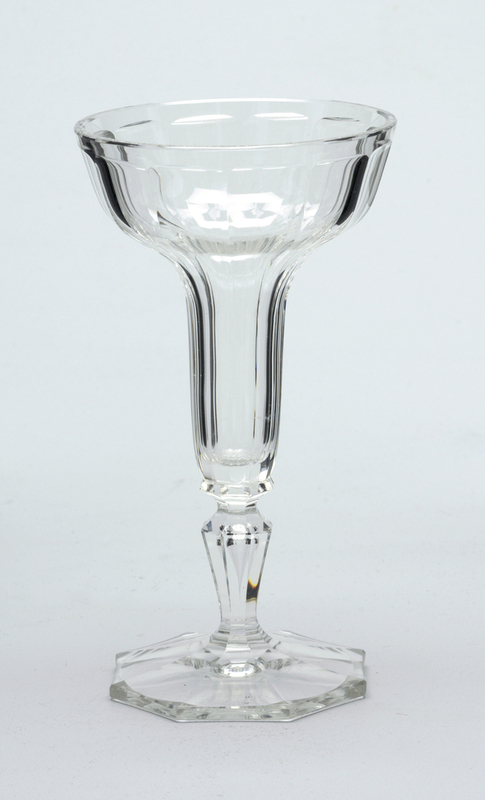 Its medium is mouth-blown crystal, faceted cut and polished. It is a part of the Product Design and Decorative Arts department. This object was featured in our Object of the Day series in a post titled How many bubbles do you like?.